Firefighters wear special suits that stand up to heat. 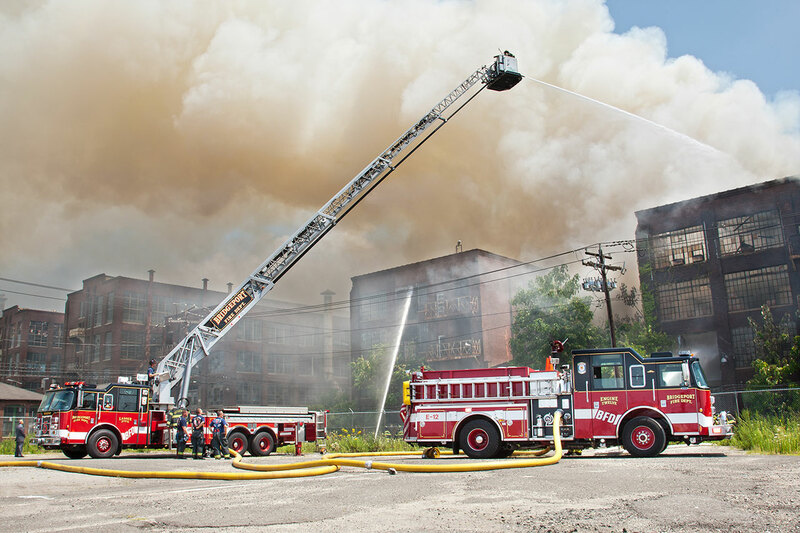 The ladder on this truck allows firefighters to reach high places. 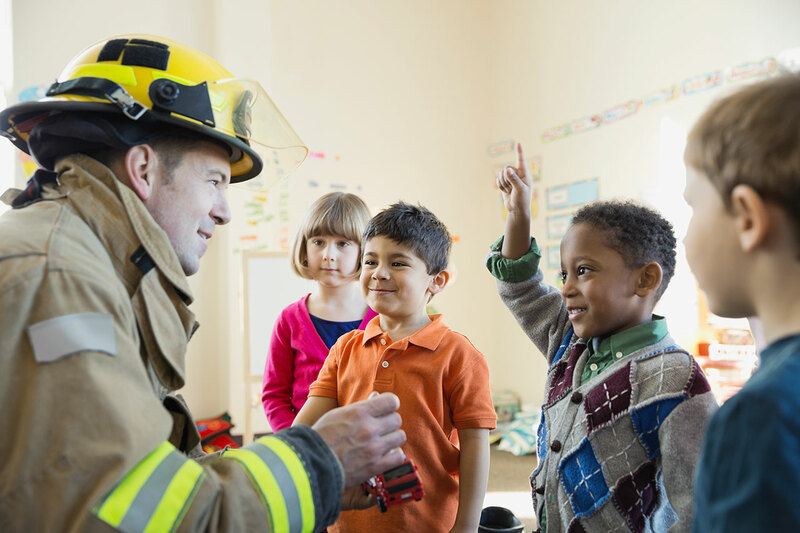 Firefighters visit schools to teach students about safety. Firehouses are often painted red. 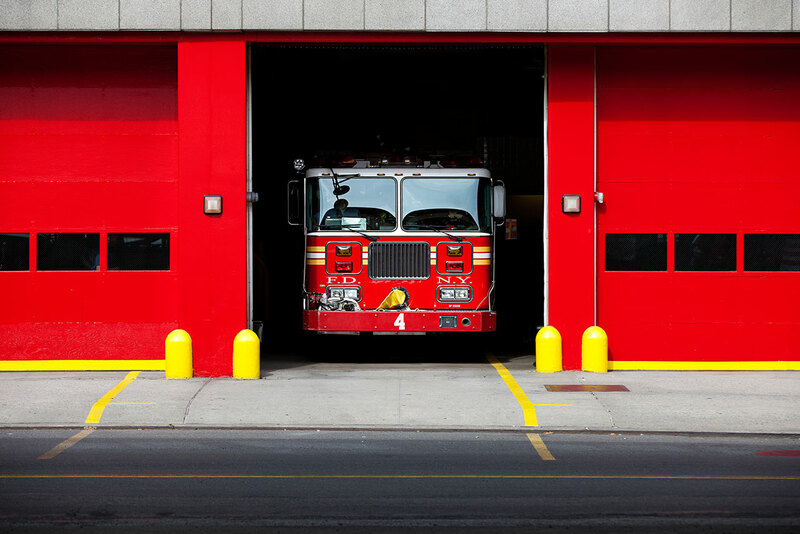 Is there a firehouse close to your home? Firefighters must be brave to do their jobs. Firefighters work hard to make your community a better place. 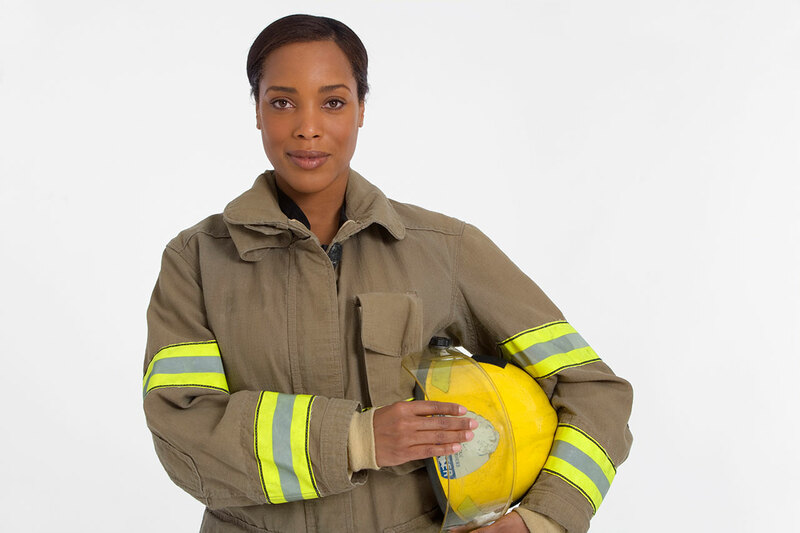 What does a firefighter do? 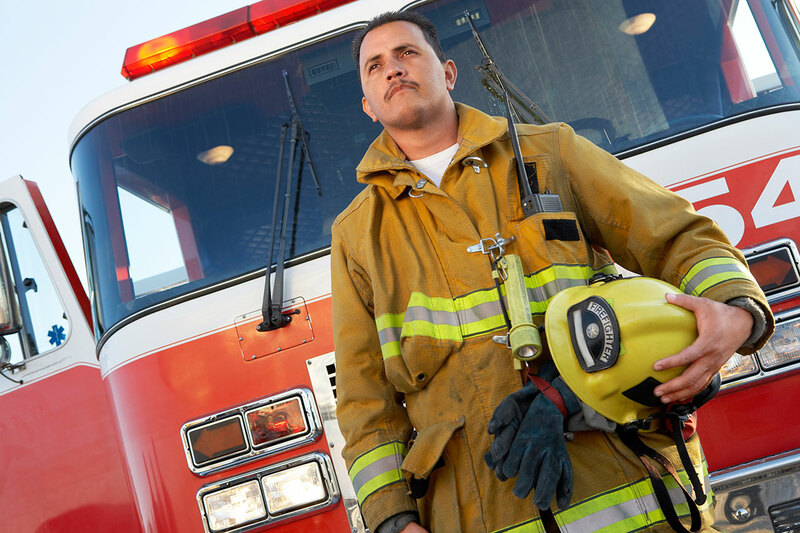 A firefighter keeps people safe from fires and other dangers. Where does a firefighter work? A firefighter works for the fire department. Firefighters wait in a firehouse. When an emergency happens in the community, they rush to help people. What kind of skills does a firefighter have? Firefighters get training in order to help people. They know how to care for people during disasters. How do firefighters do their jobs? Firefighters have special suits to protect them from fires. Firefighters drive trucks. The trucks have ladders so firefighters can save people in tall buildings. Firefighters use hoses to spray water on fires. 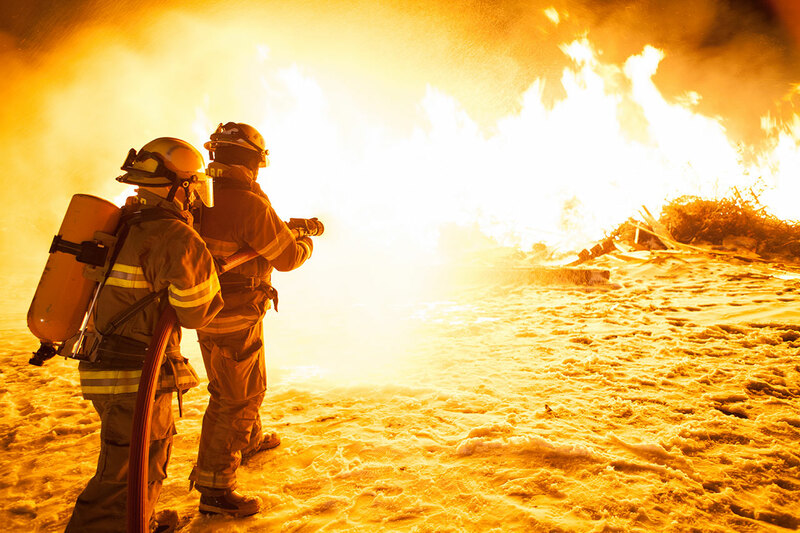 Firefighters protect people in emergencies. They keep the community safe. "Firefighter." Report Builder, Gareth Stevens Publishing, garethreportbuilder.com/article/204/firefighter. Accessed 24 Apr, 2019. All information on Report Builder is for educational purposes only. © Gareth Stevens, Inc. .